Accurate reporting has become an increasingly critical task for long-term care facilities and hospitals. The demand for documentation has only increased since the national healthcare policies were implemented in 2013. The challenge becomes greater when integrating multiple systems from a variety of solution providers. Our centralized reporting solutions is a Centralized Code and Management Reporting System that enables long-term care institutions and hospitals to achieve seamless notification and reporting. It is compatible with many nurse call, wander prevention and personal emergency response systems. Our centralized reporting solutions is performance proven with installations in over 50 long-term care institutions. Every moment is critical when a “Code Blue” alarm is activated. It is essential that members of a “Code Blue Crash Team” can be quickly assembled, regardless of their locations for immediate response. 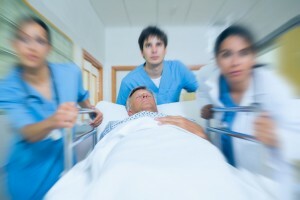 With added features including pocket paging, wireless phones and overhead PA announcements, hospitals and acute care facilities can further automate critical communications to ensure optimal response times. 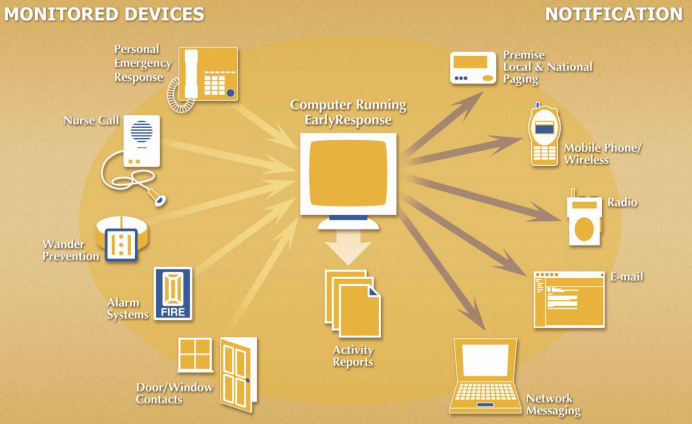 Because our centralized reporting solutions encompasses all your critical monitored systems – door and window security, alarm systems, nurse call, wander and infant protection, personal emergency response, even paging, email, wireless phones and radio – your facility is monitored and safeguarded for excellence in patient safety and security. HOW CAN CENTRALIZED REPORTING MAKE YOUR STAFF MORE MOBILE?